Support your museum and have a great meal too. $20 per person; $10 for ages 12 and under. Entertainment will be provided. 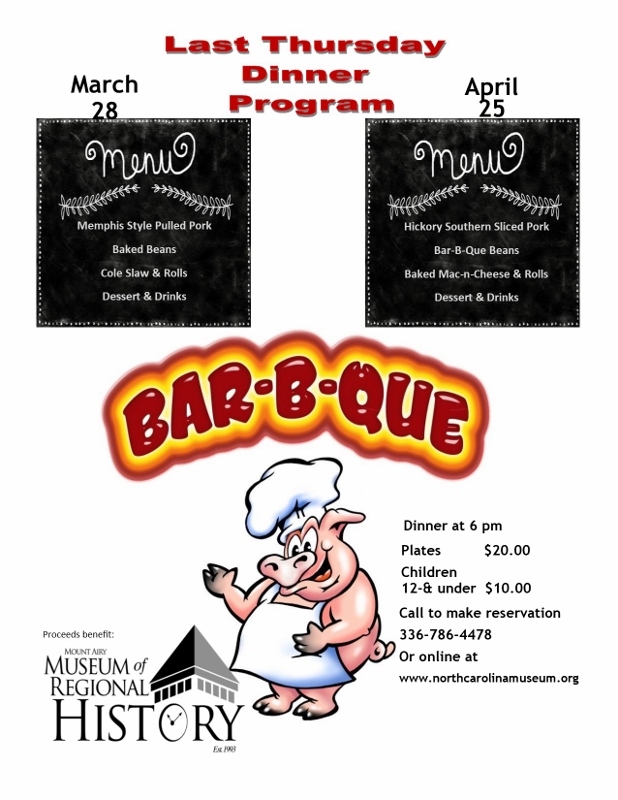 Order your plates by calling the Museum at 336-786-4478 or through the museum’s website at www.northcarolinamuseum.org.